Sometimes it takes someone from out of town to point out a local act you hadn’t noticed before. That was certainly the case when Walter Price from Global Texan Chroniclesasked me if I’d listened to Vancouver-based Cobra Ramone. No, I hadn’t. But then I did. Cobra Ramone is a musician, songwriter and vocalist with her roots in New Jersey. She released her debut EP The Flood in 2009, a self-titled album in 2012, and has now followed that up with Bang Bang – an EP that was recorded in Vancouver and released February 13, 2015. Bang Bang also features Trevor Snakedust on organ and guitar, and Pat Steward on drums. Cobra Ramone’s Facebook page describes the music as “bluesy grit and greasy rock”, and all of that comes through loud and clear on the EP’s first track, the excellent “Here Comes The Flood”. This tune has such a hefty swing and such a gloriously bassy thump to it: Ramone’s voice fits the music perfectly with its smoky tone, and diamond-in-the-rough glow. 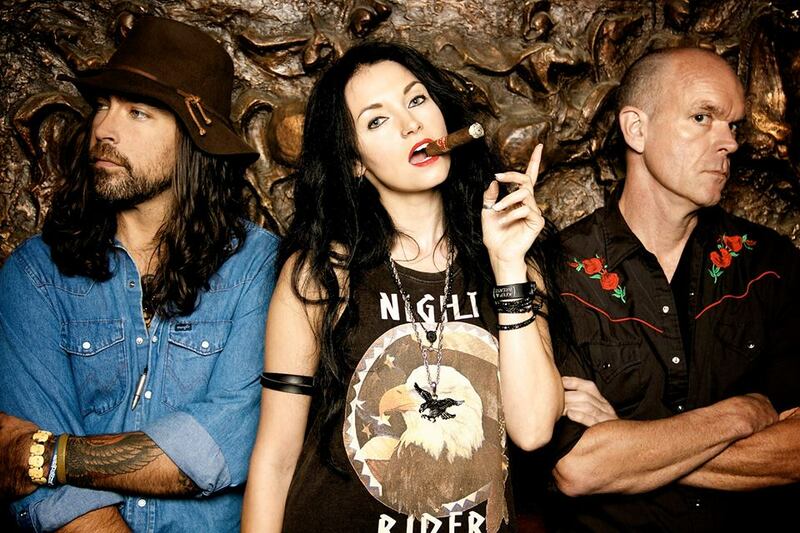 The title track “Bang Bang” speeds things up, bristling with a fiercer punk-rock-ish energy; while “Never Survive” shimmies and shakes with more of that bluesy-rock goodness. Snakedust’s organ gives the track a distinct flavour of its own, and the vocals add a plaintive tone of real life pain: “I am the poison and never the cure”. 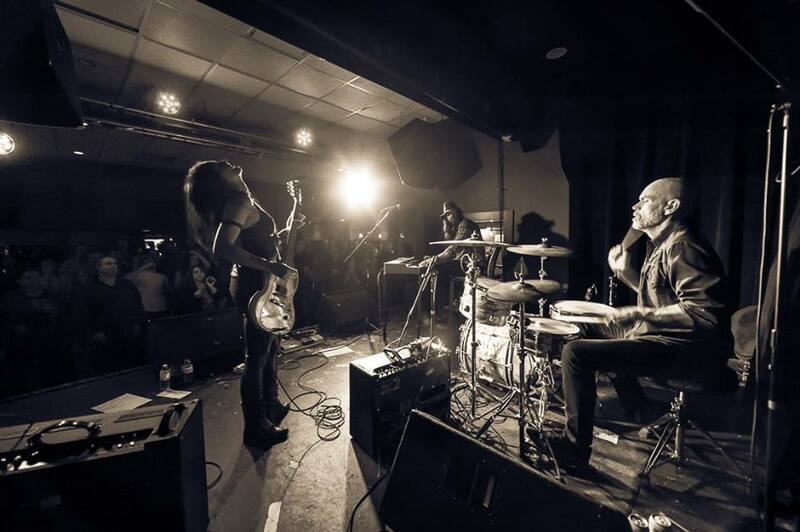 “She Don’t Know” sizzles with the slow-burning heat of jealousy and desire, showcasing both Cobra Ramone’s voice and the bluesy heft of the band’s music. The EP then closes with the terrific “I’m A Mess”, a track that begins with a tremble of hurt and vulnerability, and then finds a steely core of strength as the tune builds up. There’s a rough and gritty vibe and swagger to this EP that really appeals to me, and I love how the band mixes all that tasty blues into their heavy rock’n’roll rumble. 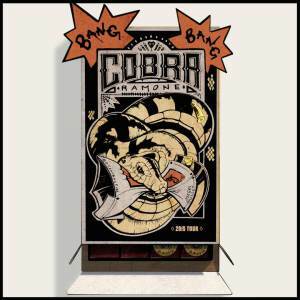 With Cobra Ramone’s excellent velvet-and-booze vocals, and lyrics that show a whole lot of broken heart and fierce soul, Bang Bang is a definite keeper.